Thank for the such a fantastic website. I do have a doubt in this topic"Execute selenium webdriver testng.xml using Maven". Simply you need to right click on the project and create a file and give it to name testng.xml. It will be shown in your project structure. 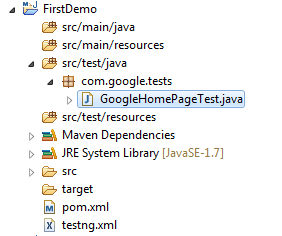 Same way you can install TestNG the way you installed Maven either from Eclipse Marketspace or from Install new software. once you install TestNG, refresh your project and you will see one testng.xml. I just started working with maven, and very soon i understand the importance of POM.XML. Many thanks for your explaination to link tests with pom. [ERROR] No goals have been specified for this build. You must specify a valid lifecycle phase or a goal in the format <plugin-prefix>:<goal> or <plugin-group-id>:<plugin-artifact-id>[:<plugin-version>]:<goal>. When I run the file I get an exception: java.lang.NoClassDefFoundError: org/testng/remote/RemoteArgs. Could anyone please help me with this issue? 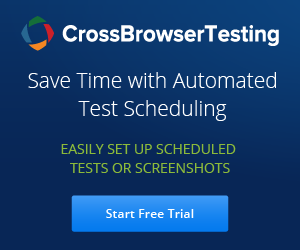 Can you please suggest -How to run testng -failed.xml using Maven for rerunning the failed test cases.